Clean and trim the cauliflower–we want just the florets, cut into about 1 inch pieces. Any smaller “crumbs” are fine, too. Slice the leek in half lengthwise and soak and rinse to clean out any sand or dirt. Slice lengthwise again, and then into 1/4 inch slices across. Warm the butter in a skillet over medium heat. Add the thyme and the leeks. Stir and fry for a few minutes until the leeks start to brown. Add the cauliflower and stir until this softens and starts to brown, a few minutes more. Add the mustard powder and wine, and cook until the wine is reduced and syrupy. Add the spinach, stir to coat and combine. Pour about 1 – 2 cups of water in, enough to almost cover everything. Bring to a boil, reduce heat, cover and simmer until the cauliflower is tender and the pan only has a small amount of liquid left–five to ten minutes. Remove from heat and let cool for a minute or two before pouring it into a food processor. Process until smooth. You might need to add a little water to make it as thin as you like it. Season well with salt and plenty of pepper, add more butter, if you like, and serve. 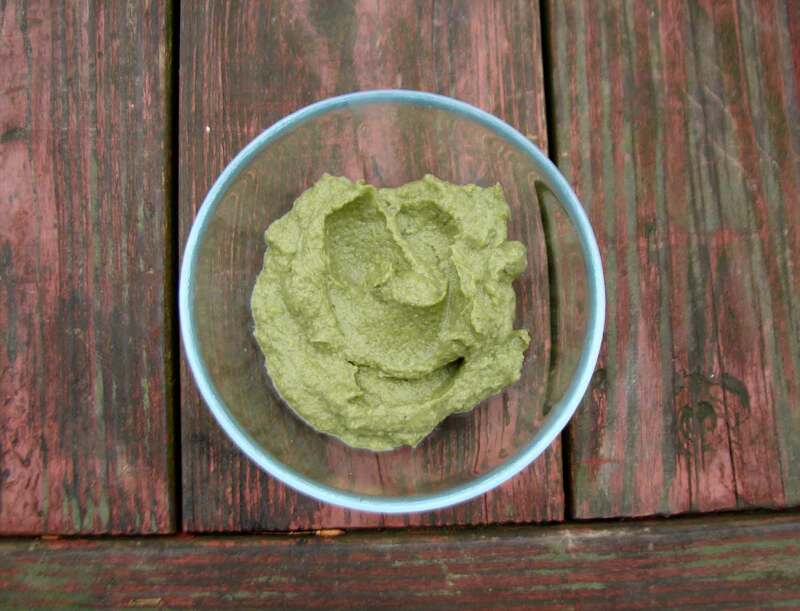 This entry was posted in recipe, vegetable side dish and tagged cauliflower puree, leek cauliflower, leek puree, leek spinach, vegetable puree by Claire. Bookmark the permalink.